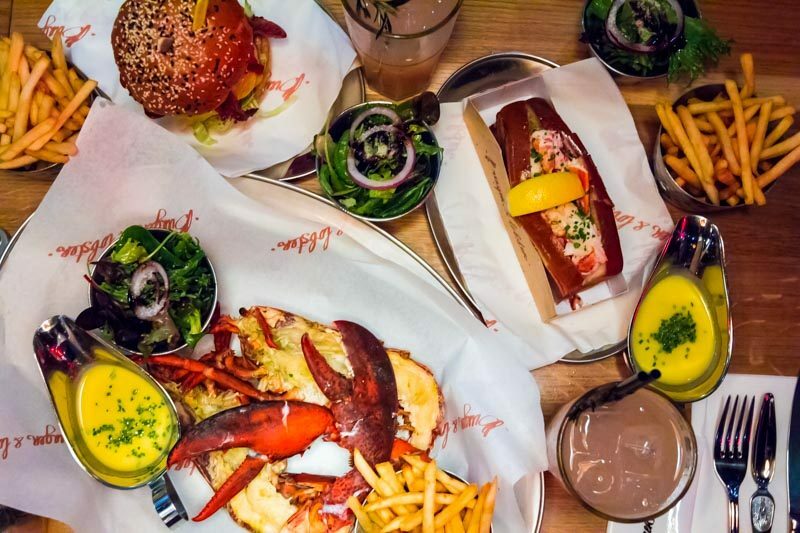 Burger & Lobster, a UK chain of restaurants, is well known for the amazing lobster rolls and whole lobsters that it serves. I am sorely disappointed that the first outlet in Southeast Asia isn’t in Singapore, but I suppose Resorts World Genting (RWG) isn’t too far a trip to make for these bad boys as compared to London. I love seafood and we do have some great lobster rolls here in Singapore, but the price is sometimes pretty exorbitant. 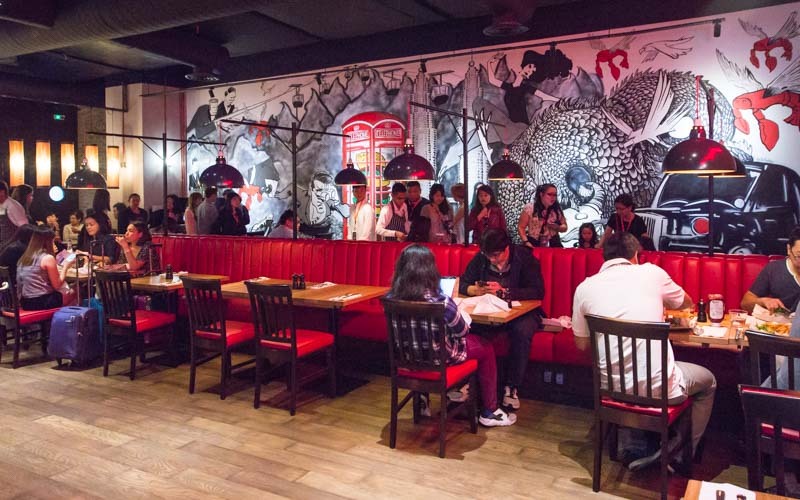 Thankfully, the prices for the dishes at Burger & Lobster in RWG is almost similar to London’s pricing, which means that even though the food isn’t cheap, you’re not paying a premium for it just because it’s outside of London. How can I start off with anything other than its legendary lobster roll? 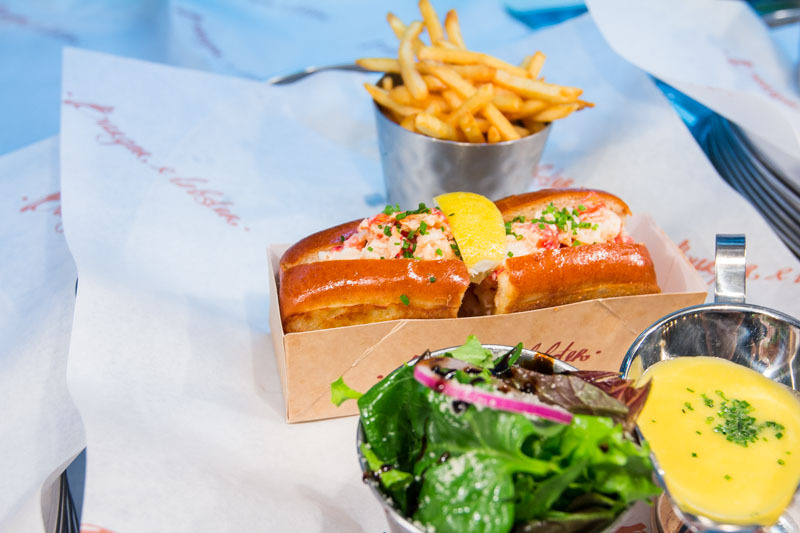 The Original Lobster Roll (RM153, approx S$49) comes with a toasted brioche roll and chunks of chilled lobster meat. Without the signature lemon and garlic butter sauce, it lacked slightly in flavour. The lobster meat was firm, but there was nothing outstanding about it. However, with the addition of sauce, it elevated the dish; it added plenty of flavour to the lobster meat and made it even creamier than it already was. The fries and salad accompanying the dish were pretty standard, nothing to really write home about. I much preferred the Original Wild Live Lobster (RM153, approx S$49). 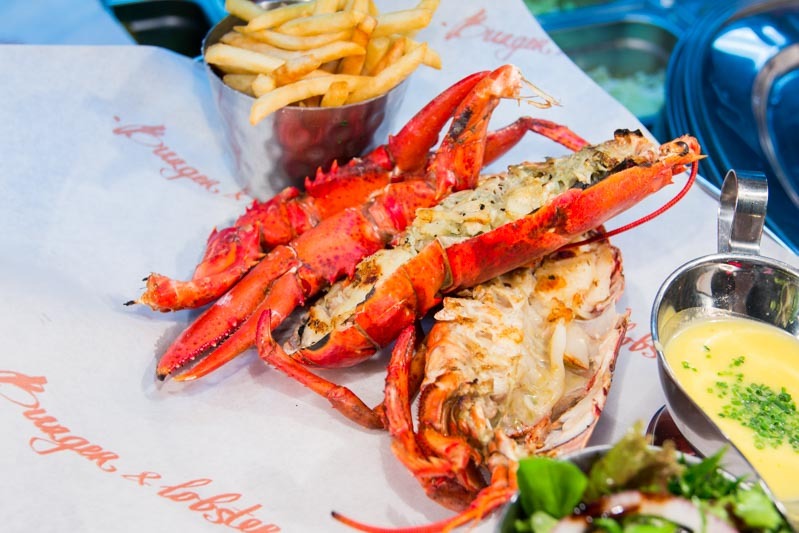 Burger & Lobster uses fresh Canadian lobsters flown in live, and you can even see them scuttling around in the tank at the entrance of the restaurant. I ordered mine steamed with the same lemon and garlic butter sauce. The lobster was delicious, but the left claw was dry and slightly overcooked. It would have been forgivable if it was a one off occurrence, but someone else at my table had the exact same issue, right down to the claw that was overcooked. Despite that, every other part of the lobster was properly cooked and went perfectly with the sauce, and I found myself mopping up every bit of it with the fries. Since the restaurant is called Burger & Lobster, there was no way I could leave without trying The B&L Burger (RM153, approx $49). 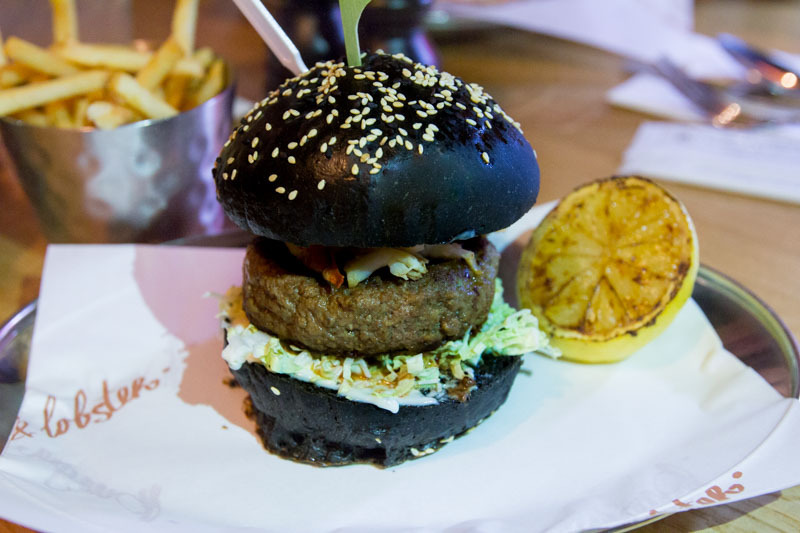 Essentially, a 168g beef patty burger topped with lobster chunks, sandwiched between two sesame seed charcoal brioche buns. The beef patty was thick and tender with a good crunch from the lettuce and pickles, but the lobster meat was a bit tough. Again, this was disappointing since I expected the lobster here to be top notch. 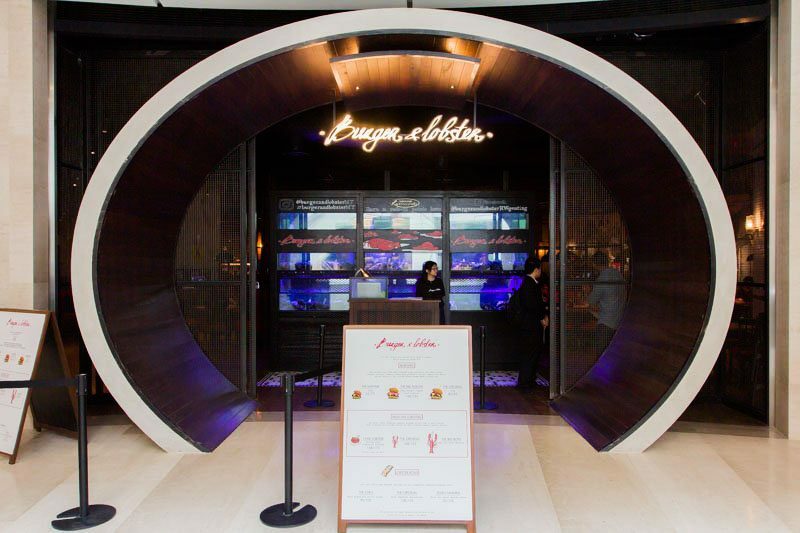 If you’re a lobster fan, Burger & Lobster is a great place to visit, if only to try the famous brand. Even though there were a few hiccups with the overcooking of certain parts of the lobsters, it was still mostly done well, and the sauce was to die for.